There is a certain course of action required when you’re bailing someone or yourself out of prison. These procedures can vary across different states. Here we describe the bailing procedures in Indiana. After the arrest of a person accused of a crime, the court sets an amount for bail for their release. If the person pays the entire bail money, they can run their case from outside the jail. This bail money acts as an incentive to guarantee the presence of the defendant in each one of their trials. However, if the bail money is unaffordable by the defendant, they can opt for bail bonds. These are a form of bail payment carried out by a bail agent who acts as surety to guarantee the defendant’s attendance in all their trials. 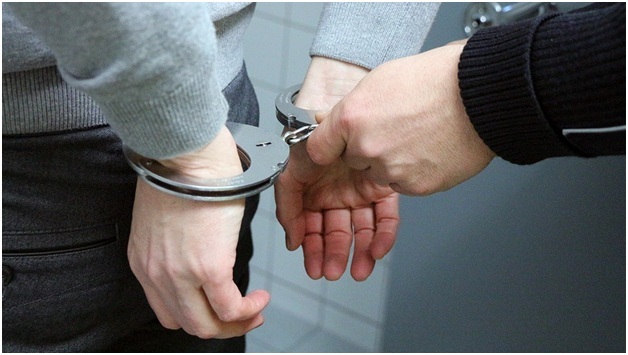 After the arrest, the defendant himself, their lawyer, or any one from their family can contact the bail agency to hire a bail agent. Once a bail bondsman is hired, they’ll collect the defendant’s information. They then require a document to be signed by the defendant, stating the terms of agreement of the bail bond. The defendant can ask an indemnitor or cosigner to sign on the contract to secure the bond. The cosigner then takes the responsibility of ensuring that the defendant attends all of their hearings and follows the conditions set by the court until the case is settled. Once the paperwork is completed, the bail bondsman can post the bail bond for the detainee in jail. The bailing procedure can be as quick as several hours, or several days. However, bailing procedures can only be executed once the jail has processed the defendant. This processing period can be time consuming, chiefly if the defendant was intoxicated when arrested. After posting the bail bond, the defendant can go home. However, they are obligated to attend their hearings. The bail bondsman is required to ensure that the defendant is aware of their scheduled hearings and attends them. If the defendant fails to appear for their hearings the bail amount of forfeited and they’re arrested. We Can Pay Your Bail! At Delaughter Bail Bonds, we ensure quick release for our customers. Serving in 14 counties in Indiana—we provide 24-hour bail bonds services. Call us at 260.578.0505 or get in touch with us online so that our staff can assist you in the bailing procedures. This entry was posted in Blogs on February 11, 2019 by laynen08.